Alexios has a broad practice in the area of employment and social security law. He is specialised in advising his clients, mainly employers, on all types of individual and collective employer-employee relationships, including trade union relations, collective bargaining agreements and industrial action. 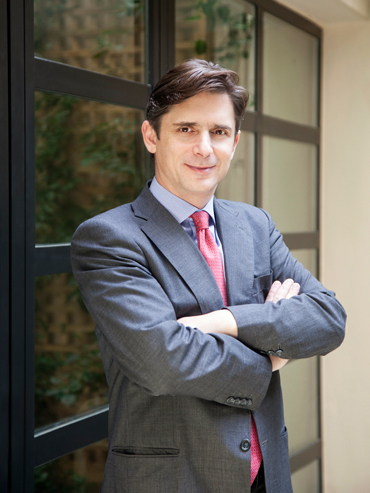 Alexios has extensive experience in acting in business closures, mass dismissals, transfers of undertaking pursuant to mergers, acquisitions and privatisations and in litigation before the courts and industrial tribunals arising from social security and employment related disputes. He has an expertise in advising on all aspects of social security law, in particular on the regulatory framework in place. His client base is made up of multinational companies across a range of industries with a focus on finance, pharmaceuticals and consumer goods. Alexios has held various appointments in his field of specialisation, including Advisor to the National Chemical Weapons Department of the Ministry of Justice (2005-9) and Technical Representative of Greece at the European Council for the introduction of the International Treaty on Money Laundering (2004-6). He acted as President of the Board of Directors of the Hellenic Centre for the Psychological Health and Therapy of the Child and Family (2001-5) and has been a Member of the Management Committee of the Centre for Political Research and Communication since 2001. He is a member of the European Employment Lawyers Association. Alexios Papastavrou and team represented 178 different clients during 2016, more than 90% of which were employers and more than 80% of which were multinational companies, in more than 225 Court hearings with a success rate of over 93%. Alexios Papastavrou and team successfully represented a major industry before the EU Court on its challenge against the Greek law on collective redundancies. Alexios Papastavrou and team successfully represented a major international bank against claims by 422 former employees who were requesting c.€138m and interest from the partial liquidation of a pension scheme. Alexios Papastavrou and team are representing a major new industrial client in various employment litigation matters, mainly for allegedly illegal dismissals for technical and financial reasons and benefits, involving more than 1,000 employees. Alexios Papastavrou and team represented over 150 different clients during 2015, more than 90% of which were employers and more than 80% of which were multinational companies, in more than 200 Court hearings with a success rate of over 92%. Alexios Papastavrou and team successfully represented a tobacco company in unfair dismissal cases concerning employees, including members of the union executive, and in pensions cases disputing the passing from a defined benefit pension plan to a defined contribution one. Alexios Papastavrou and team successfully defended a foreign bank against claims by its Greek ex-employees exceeding the amount of €40m. 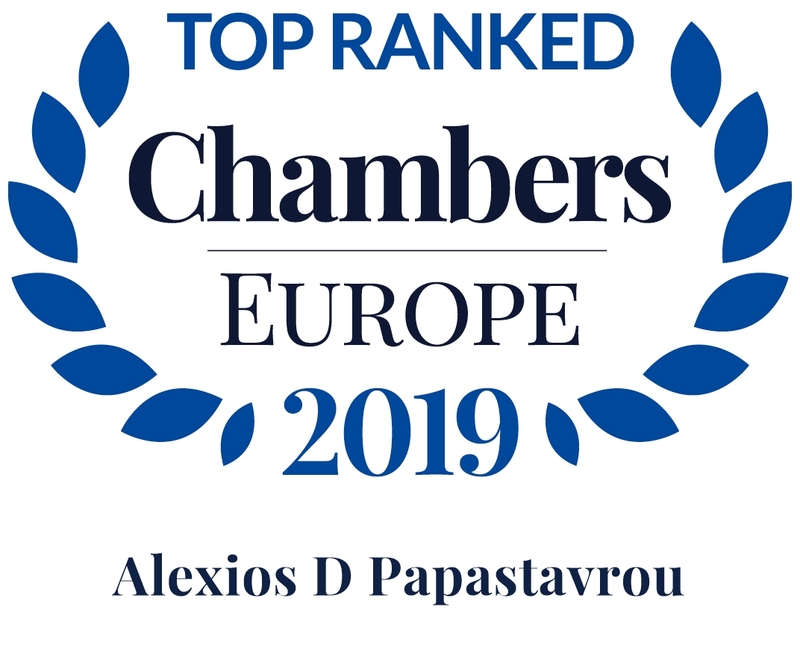 Alexios Papastavrou and team represented over 100 different clients in the second half of 2014, more than 90% of which were employers and more than 80% of which were multinational companies, in more than 150 Court hearings with a success rate of over 95%. Alexios Papastavrou and team successfully represented an international bank in employment law litigation, following its exit from Greece. Alexios Papastavrou and team advised the Greek government on complex labour negotiations relating both to privatization and revamping of the public sector, amendments of Code of Civil Procedure and the implementation of OECD recommendations. Alexios Papastavrou and team acted on behalf of an international bank on an advisory basis and successfully represented it in individual and collective employment law litigation arising from the employment and pension issues stemming from the transfer of its consumer business sector, including negotiation with the employees’ representatives, involvement in the drafting of the relevant clauses of the SPA and advising on the liquidation of the pension plans. Alexios Papastavrou and team advised an international group of shipping companies in the successful wide scale reorganization of two major companies, including the termination of office of their CEO and other senior executives, in one of the most widely discussed business cases in Greece. "client-focused" expert, with "commercial awareness and ability to find solutions."